Please read these Terms and Conditions ("Terms", "Terms and Conditions") carefully before using the http://www.greenwoodscampsite.co.uk website (the "Service") operated by Greenwoods Campsite ("us", "we", or "our"). Purchases If you wish to purchase any service made available through the Service ("Purchase"), you may be asked to supply certain information relevant to your Purchase including, without limitation, your name, address, phone number, financial information and email address. We do not offer a subscription service or an online payment option. However, all reservations must be paid in full at least seven (7) days prior to your arrival. Refunds for cancellations will be made on a case by case basis but is not guaranteed. Our Service may allow you to post, link, store, share and otherwise make available certain information, text, graphics, videos, or other material ("Content"). You are responsible for any such activity and we are not held accountable for it. By posting, uploading, inputting, providing or submitting your Submission, you grant us, its affiliated companies and necessary sublicensees permission to use your Submission in connection with the operation of their Internet businesses including, without limitation, the right to copy, distribute, transmit, publicly display, publicly perform, reproduce, edit, translate and reformat your Submission; and to publish your name in connection with your Submission. No compensation will be paid in relation to the use of your Submission. We are under no obligation to post or use any Submission you provide and may remove any Submission at any time in our sole discretion. The materials you provide, create and store on our website belong to you, but if required to by law, we have the right to share them with law enforcement. 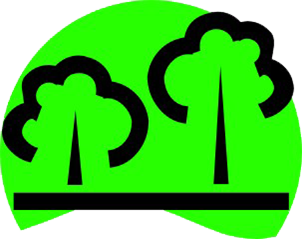 Our service may contain links to third-party web sites or services that are not owned or controlled by Greenwoods Campsite. Greenwoods Campsite has no control over, and assumes no responsibility for, the content, privacy policies, or practices of any third party web sites or services. You further acknowledge and agree that Greenwoods Campsite shall not be responsible or liable, directly or indirectly, for any damage or loss caused or alleged to be caused by or in connection with use of or reliance on any such content, goods or services available on or through any such web sites or services. Nor are we responsible for damage on site caused by natural causes such as but not limited to fire, flood, earthquake, high winds, tornadoes, hurricanes, named storms or landslides. We reserve the right to cancel or modify a booking especially if the on line booking form is not completed correctly by you, if you have not declared that you are bringing children under 14 onto the campsite during the booking process or, otherwise be inaccurate and complete with any aspect of your booking. No party will be liable for delays in processing or other non-performance caused by such events as fires, telecommunications or internet failures, utility failures, power failures, equipment failures, employment strike, riots, war, terrorist attack, non-performance of vendors or suppliers or other causes over which the respective party has no reasonable control, except that this will not affect or excuse your liabilities and obligations. Notwithstanding the foregoing, a party shall not be liable under these General Terms and Conditions or any applicable Additional Terms (or portion thereof) in cases of abnormal and unforeseeable circumstances beyond the control of such party to the extent the consequences of such circumstances would have been unavoidable. You are responsible for the security of your property while on the campsite. We are not liable for any theft, vandalism or other damage. You enter the campsite at your own risk and that you understand are familiar with the hazards of camping and caravanning. We reserve the right to alter pricing as required at anytime without any prior notification. There is a minimum charge of £15 for single night stops. By using our website and accepting a booking, you consent to and agree to comply with the terms outlined above.